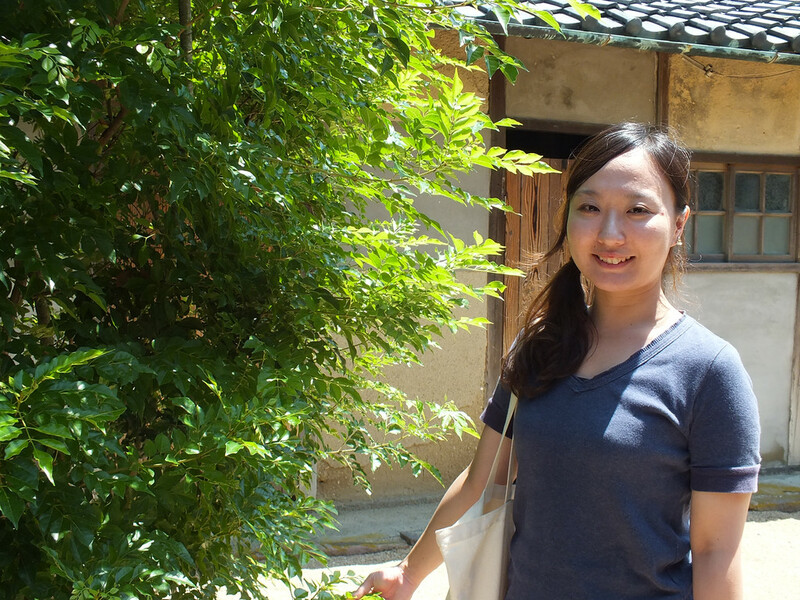 Today, I’m going to tell you about a very special artwork of the Setouchi Triennale. It’s located in the village of Konoura on Shodoshima. It is called stories – House – by Yume Akasaka. I saw it for the first time back in 2013, and it instantly became one of my favorite artworks of the festival. And still, I never talked about it here. I never talked about it, because I’m simply afraid to not do it the right way. Same thing with pictures. It’s very hard to take good pictures of it, and I don’t want to post sub-par pictures (even though I’m not too happy with the ones I’m going to post here). Also, I never talk about it, because I want you to discover the artwork the way I did it: without any idea of what to expect. I think it’s one of those installations that gain at being experienced this way, with no prior knowledge. So here is what I’m going to invite you to do right now. If you’re sure you’re going to go see it before the end of this year’s Triennale, or even if you’re positive you’ll see it in 2019 (unfortunately, I’m not sure it’s open in between Triennales despite being a permanent work), just stop reading now, and go see it. 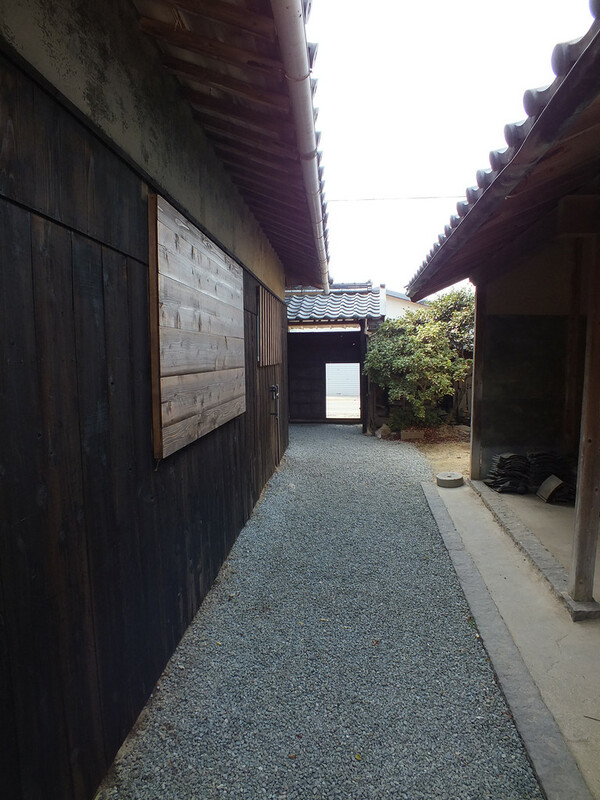 If you’re not going to see it (because you can’t attend the Triennale, if you are, it’d be a shame to not go, stop spending so much time on Naoshima and go visit the lesser known areas, they’re so much more interesting), then you can keep on reading? Even now, I’m not exactly sure how to tell you about it. Maybe I should start with what it is. 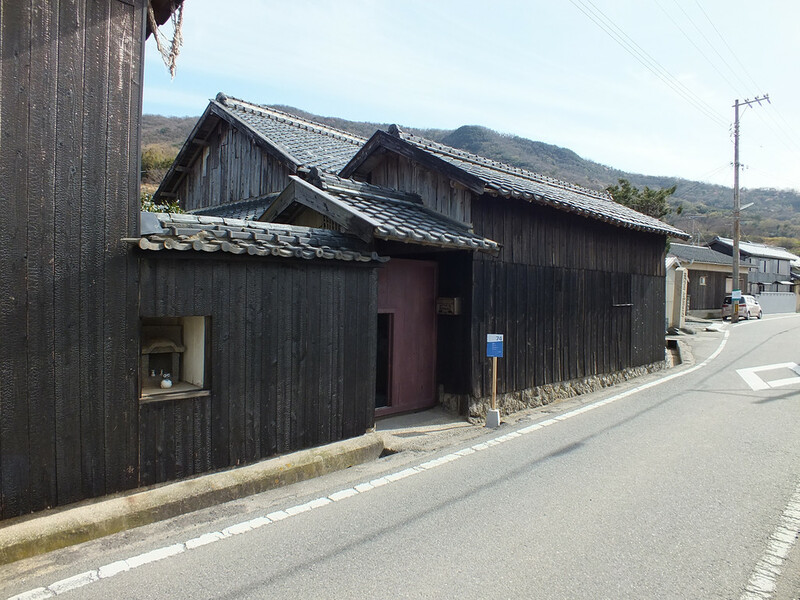 So, it’s a very old house in the village of Konoura, located on the western shore of the tip of Mito Peninsula on Shodoshima. Inside, in a very quiet and soothing setting, you’ll encounter some images, some visions. Visions of the past. Memories having come to life. Yes, I’m staying vague on purpose. 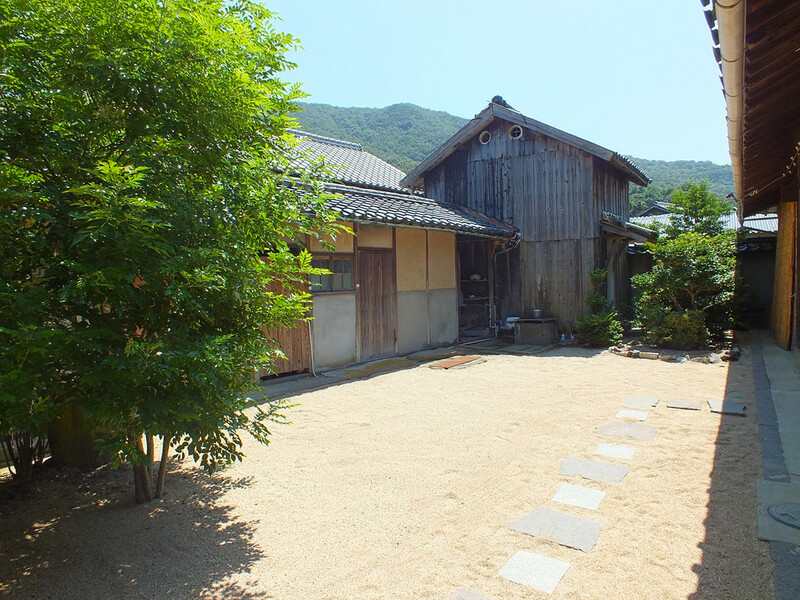 The last time I saw the house, back in July, Ms. Yume Akasaka was there and she was kind enough to spend some of her time with us, and gave me some input about how the project came to be and how it is evolving. What follow are a few tidbits from the conversation. 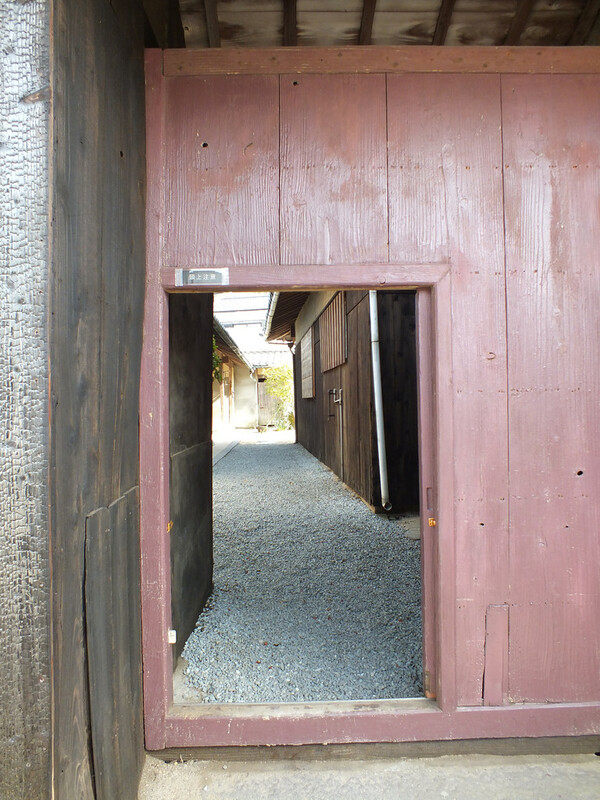 stories – House – started in 2010, when Yume Akasaka was an artist in residence on Shodoshima. It started with the horse, and things have been added little by little, since. This year’s addition is the little girl with the sewing machine. That little girl is a real person, she’s still alive and is very old now. It used to be her house. (note: she explained that part in Japanese and I’m not sure if there was one little girl or several. It may have been several little girls living in the house). 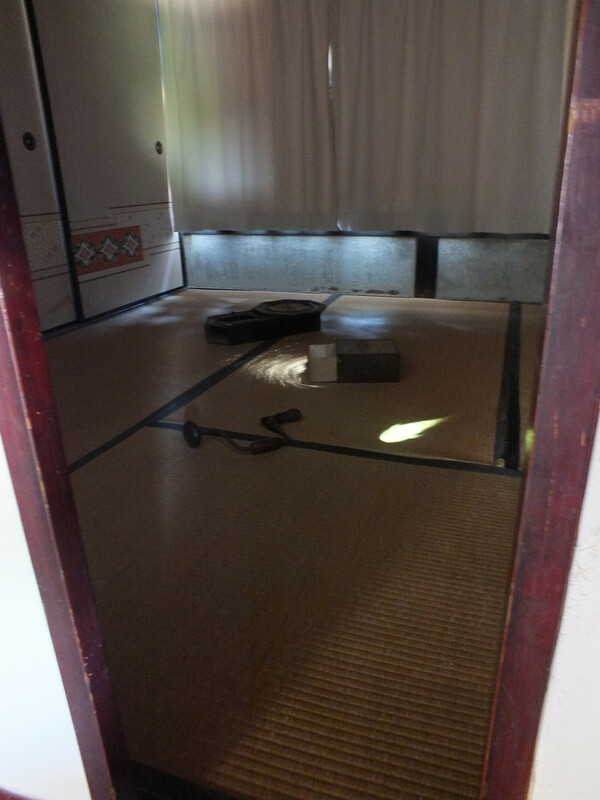 Yume Akasaka spent a lot of time in the house, looking for objects, marks, anything that could have a story attached to it. Then she asked the old woman about those stories, then turned some of them into video installations. The idea of stories – House – is that every place, especially every home has a history, a history that is made of stories as they become memories. Memories and stories that sometimes disappear with the people who lived them, who told them. The purpose of the project is to not forget what was once there. The video projections are a bit unreal, they feel untrue, because they are memories made visible, and memories can sometimes be as such. Intrigued by it, Ms. Akasaka asked the old lady about the story behind those differences in color on the wall. 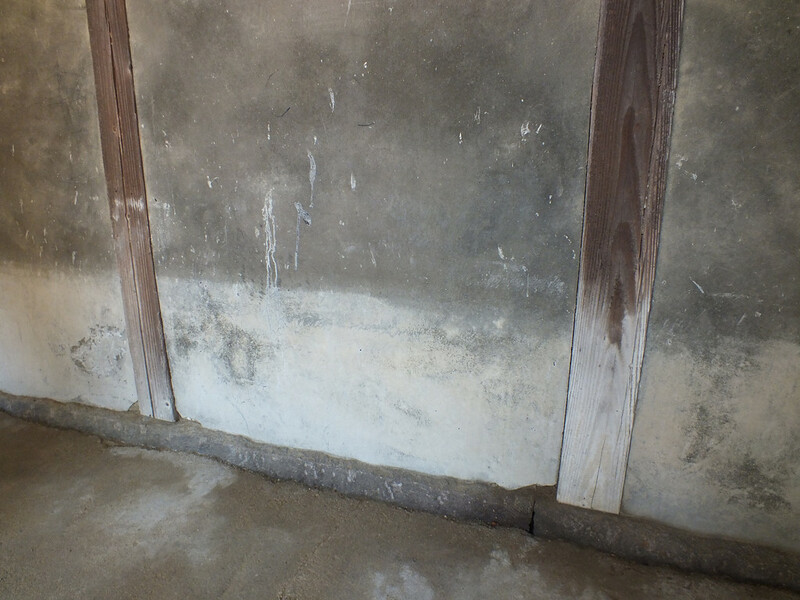 The reason was that, one time (or several), the sea came into the house, probably because of strong typhoons. The house being pretty much located on the shore, quite a lot of water entered the inner courtyard and even the house itself. At one point, there were fish swimming in the house. That’s all I’ll tell you about it. I should return there before the end of the month. I’ll try to take better pictures… or not… The thing is that – as opposed to other artworks I often get to see, even in between Triennales – this one is rare. First, it’s not open in between Triennales and even though, because of its location, it’s not easily accessible, so I basically see it only once every three years. It’ll be the first time I see it twice on the same year. In other words, just like last summer, when I’m there, I prefer spending time experiencing it rather than trying to take good pictures for the blog. Alas we didn’t manage to fit the Mito peninsula in on our visit to Shodoshima. I appreciate your difficulty in trying to describe some of these works. 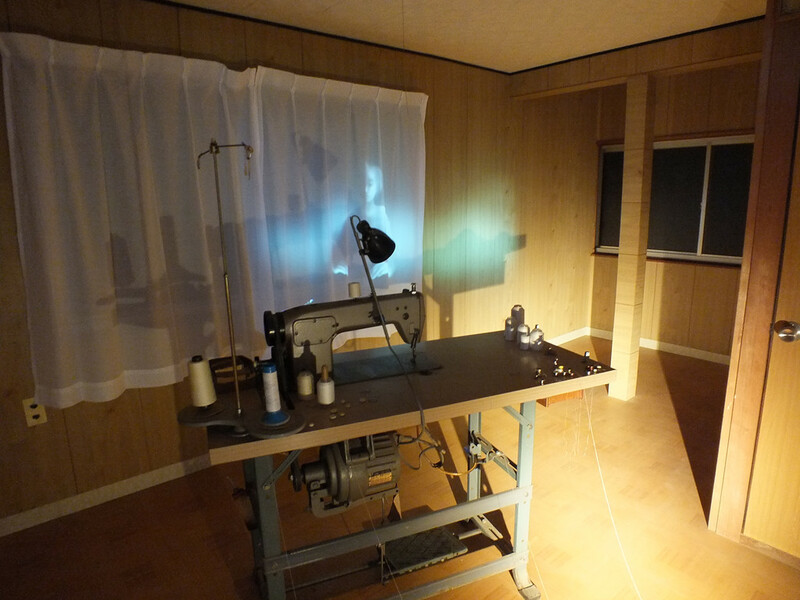 We did see Voyage through the Void in Hitoyama and had the installation to just ourselves (and the staff). What a magic experience. It’s too bad you didn’t see it. But glad you got to experience “Voyage through the Void” in the best possible way.